Arborio is a popular, Italian, medium-grain white rice traditionally used to make risotto although often marketed as short-grain, because the grains are almost round in shape. 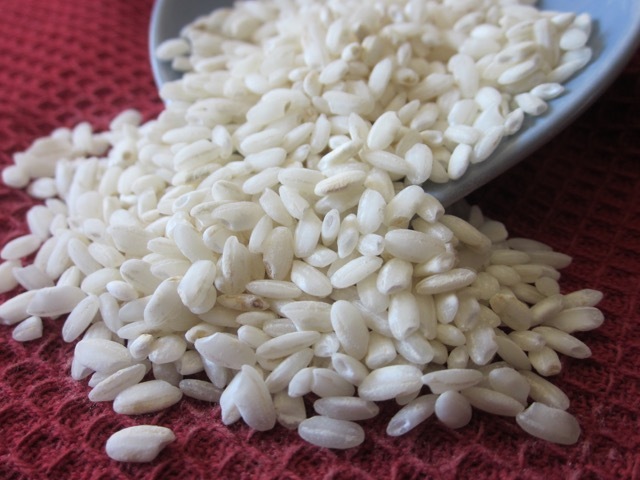 The grains are stubby and translucent, with a white centre that remains firm to the bite when cooked, while the rest of the grain softens and acquires the creamy risotto consistency. It can absorb up to 5 times its weight in liquid and expands widthwide. Arborio was once grown exclusively in Italy, in the town of Arborio, in the Po Valley, but is now grown in USA, too. 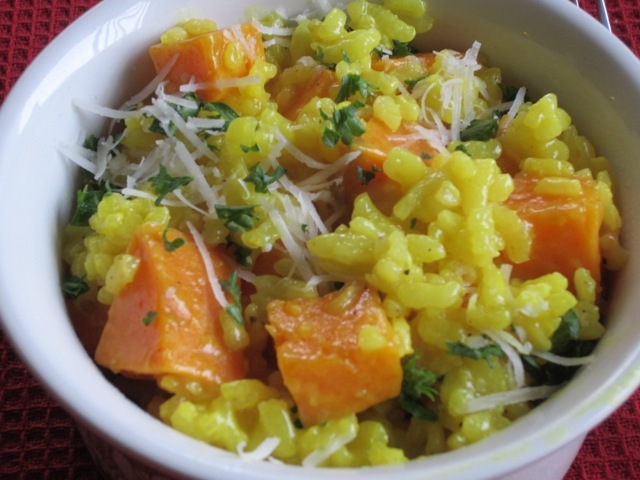 It has a higher percentage of amylopectin, a waxy starch that gives risotto its creaminess. It can also be used for cooking Paella and rice pudding. Carnaroli, Maratelli and Vialone nano can be used to substitute Arborio in making risotto. Next What is Parboiled Rice?